His Holiness the 14th Dalai Lama is a spiritual leader who has travelled worldwide, meeting world and religious leaders; always searching for common ground with his philosophy of kindness, forgiveness, love and compassion for humanity. 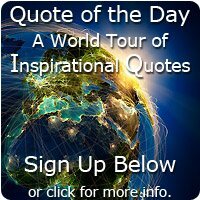 I hope you will enjoy these insightful Dalai Lama quotes. 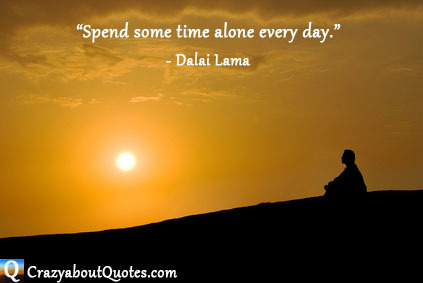 Profile: Tenzin Gyatso, His Holiness the 14th Dalai Lama was born in a small village in Tibet on July 6th 1935. At the age of 2 he was recognised as the reincarnation of the 13th Dalai Lama. Dalai Lamas are believed to be manifestations of the Bodhisattva of Compassion (enlightened beings that choose rebirth over nirvana in order to serve humanity). The first Dalai Lama was born in 1391. In 1939 the child was taken to Lhasa and installed as the spiritual leader of Tibet the next year. And then in 1950 age just 15 he was officially enthroned as leader of 6 million Tibetans whilst a growing threat of war loomed from China. The threat to his life grew and he escaped to India in 1959 where he set up government in Dharamasala. Since then this 'Ocean of Wisdom' has worked to gain freedom and independence for Tibet through non-violent means. self-confidence in one's ability, one can build a better world." there isn't anyone who doesn't appreciate kindness and compassion." to generate a good attitude, a good heart, as much as possible. for both yourself and others will come." we must develop here a positive vision." it is likely that all beings in this universe have familial connections." that are stronger and more powerful." "I find hope in the darkest of days, and focus in the brightest. We are here for ninety, a hundred years at the very most. something useful with are lives." and help others share that peace. they express it, and then it is finished. They can still play with that person the following day."